Gangamma Mudki w/o Virupakshappa Mudki of Kaginalli village, Shikaripura Taluk, Shimoga District, Karnataka has taken up cultivation of ICAR-IIHR marigold variety 'Arka Agni' in 500 sq.mtr area. Planted in the middle August, she was happy to get the flowers for both Dasara and Deepavali when the flowers were in peak demand. 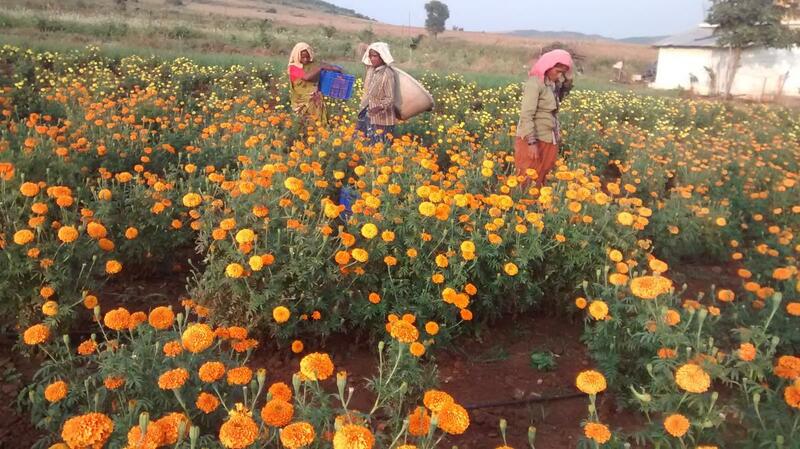 “Flowering started 45 days after planting and we harvested flowers at weekly interval till middle of November. 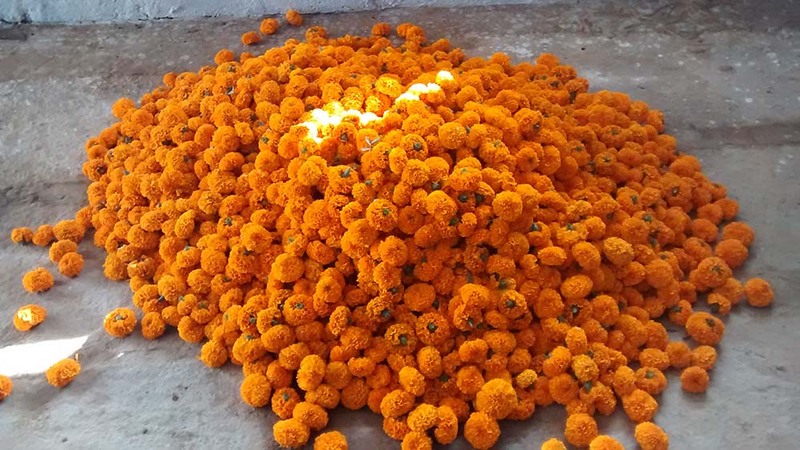 With good colour and attractive shape, these flowers were in great demand by the market and consumers. The flowers were strong and durable, that made transportation and marketing easy for us” says Gangamma. With a harvest of around 5 quintal, she got a gross income of Rs 12,500/- and her entire expenditure for that was Rs.5000/-. She was happy with the variety and feels that the profit she got from cultivating ‘Arka Agni’ in 500 sq.mtr area was on par with cultivation of half an acre of maize.